Yerba Maté is one of the world's most balanced superfoods, optimized for human nutrition & energy. Yerba Maté has the strength of coffee, health benefits of tea and the euphoria of chocolate all combined into one drink. I don’t get the crash like after a cup of coffee, its low acidity and air dried so it’s shelf stable like tea. Maté is pretty mild in taste, with a woody green tea flavor. Although it’s not as popular in North America, it’s the drink of choice throughout South America! 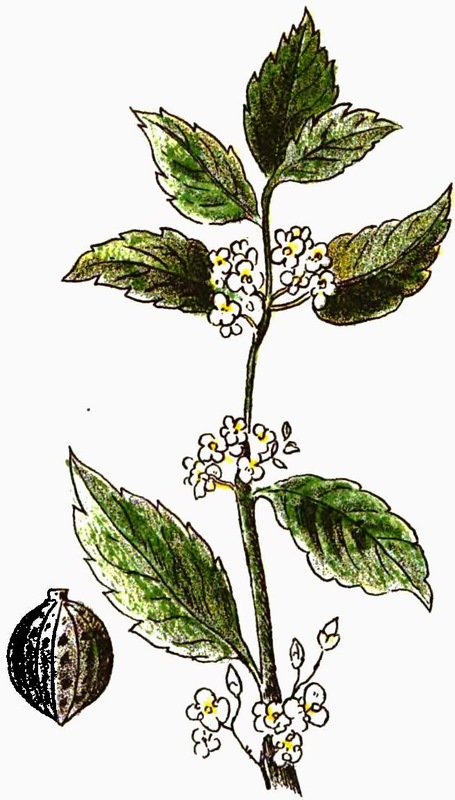 Yerba Maté is native to the rainforest biome, and derived from a holly plant called Ilex paraguariensis. When sustainably harvested from under the rainforest canopy with the help of native workers paid a fair wage, maté is as good for the environment and world as it is for getting your morning kick. Check out how to brew the perfect maté! Additional Compounds: Carotene, Fatty Acids, Chlorophyll, Flavonols, Polyphenols, Inositol, Trace Minerals, Antioxidants, Tannins, Pantothenic Acid and 15 Amino Acids. 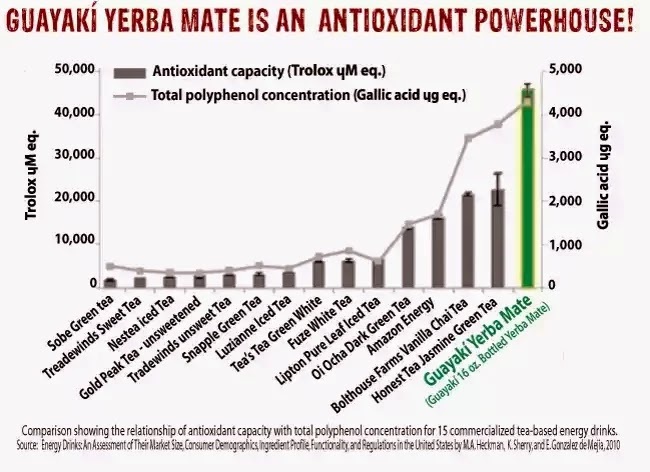 Yerba mate contains three xanthines: caffeine, theobromine and theophylline, the main one being caffeine. Caffeine content varies between 0.7% and 1.7% of dry weight (compared with 0.4– 9.3% for tea leaves, 2.5–7.6% in guarana, and up to 3.2% for ground coffee); theobromine content varies from 0.3% to 0.9%; theophylline is present in small quantities. 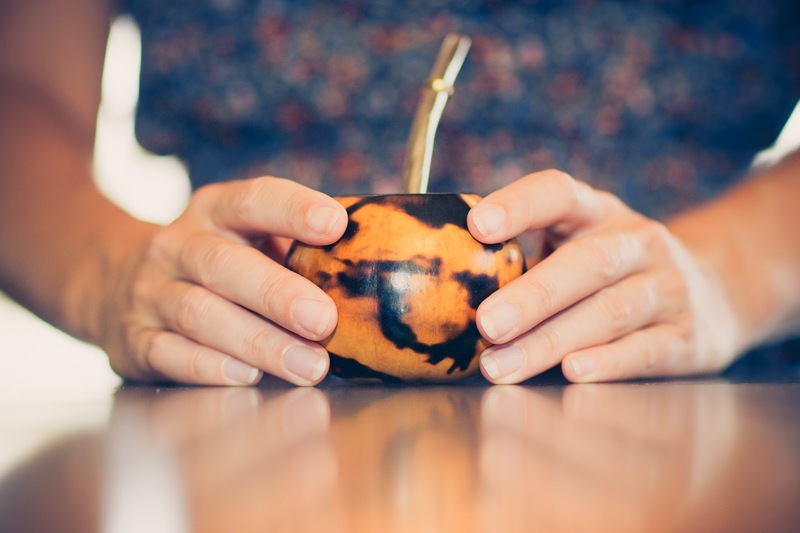 The infusion, called maté in Spanish-speaking countries or chimarrão in south Brazil, is prepared by filling a container, typically a gourd, about three-quarters full with dry leaves (and twigs) of the mate plant, and filling it up with water at a temperature of 70 – 80 °C (158 – 176 °F), hot but not boiling. Maté seems to be pretty hardy, so I don’t worry about temperature too much. The trick is to pre-soak the maté leaves in about 2 cups of cold water before mixing in the boiling water; my resulting mixture is around 170 °F. Pour your brew into a cup or gourd and enjoy! Generally I make two batches from the same leaves, so you can simply repeat the process to enjoy more. Like all good things, maté is a wonderful thing to share with friends. There is also a ceremony built around it called cebadoring which is a way of welcoming guests and friends into one's home. Traditionally people drink maté from a hollowed gourd through a metal bombilla (straw) with a small filter at the bottom to keep out the loose maté leaves. Refilling and passing to the next person is a common social practice in Uruguay, Argentina and southern Brazil among people of all ages. Salud and cheers! People across many countries and languages enjoy this drink- from Syria and Lebanon to Chile, though it is especially popular in Peru, Argentina and Brazil. In some places it is enjoyed by humble farmers in the countryside, while others drink it from elegant gourds with designs made in metal or etched into the gourds. As it gains popularity in America, we tend to drink it from coffee mugs. You don't have to speak Spanish or Portuguese to enjoy this drink, but here is a taste of some local traditional terms for maté. 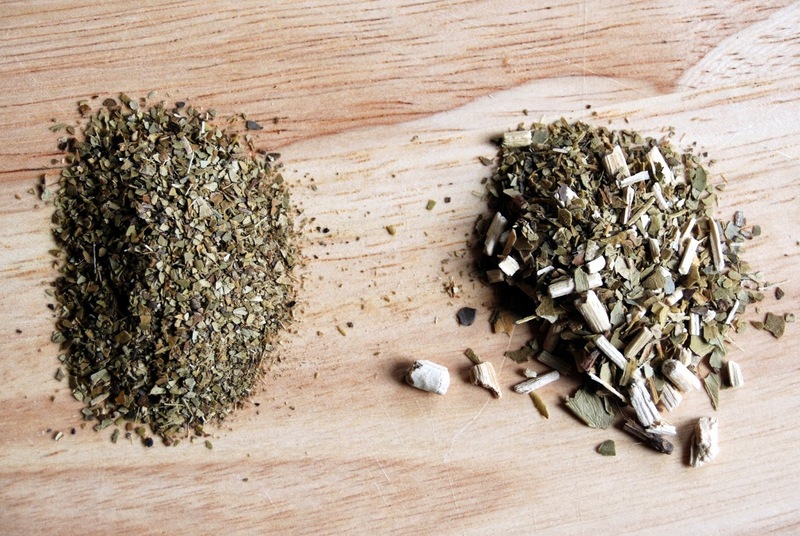 Yerba Maté - A steeped tea derived from the dried leaves and stems of the plant Ilex paraguariensis. When the adventurer Sebastian Gaboto sailed up the Paraná river in 1526, he believed that at the fountainhead of its brutal waters he would find Eldorado, the fabled land of silver and gold that drove the ambitions of early European explorers. Gaboto was certain the inexhaustible cache of precious metals would transform all of the lands down river (in the area now occupied by Paraguay) into the richest and most powerful region in South America. He was wrong. But in the area Gaboto pioneered, Mother Nature hid a treasure, not aureate, but green in color, which would both reward those lands with commerce and burden them with a history of human tragedy no less appalling than that caused elsewhere by the discovery of gold. 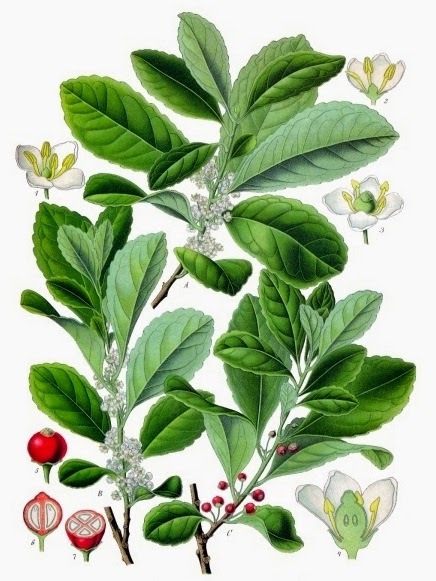 The verdant gift concealed in her bosom was a stout evergreen of the holly family known to the aborigines as Caa, but eventually christened by the Spaniards: yerba mate (Ilex Paraguariensis). The Spaniards were disillusioned by their failure to find precious metals, and exhausted from the travails of jungle survival. A small break-off group decided to settle along the Paraná River, in an area where they found abundant food and friendly reception among the Guaraní Indians. These hospitable Native Americans were well-built, vigorous, and healthy. They seemed gifted with good character and abounding joy. Naturally the Spaniards wanted to know why. The secret, they were told, was to drink an infusion of dried leaves from the Caa bush, a gift from the spirit Tupá. Informed about its supposed virtues and magical origins the confirmed the indisputable effect it had on their physical welfare. The surprising renewal of body and spirit brought by the native decoction but not only restored their health but inflamed their commercial instincts – and an industry was soon born. 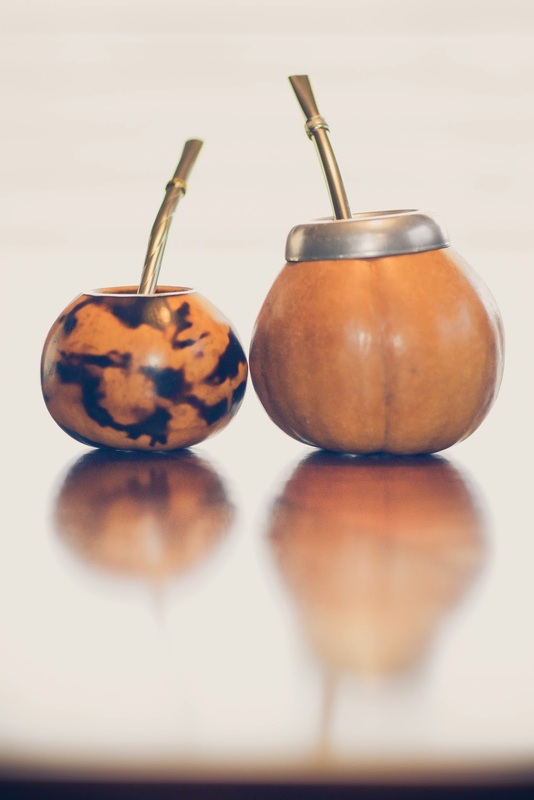 Two centuries later, the Argentine gauchos of the great Pampean plains and the effete oligarchs of Buenos Aires would share the daily habit of drinking mate with thousands of Paraguayans, Uruguayans, Brazilians, Bolivians, and people as far north as Peru. By the end of the 20th century, the Guaraní herb would be cultivated for worldwide consumption by a $400 million agricultural industry producing more than 300,000 tons of the processed plant every year. Considering its mythical origin and seemingly magical properties, the early Jesuits’ mistrust of this powerful Guaraní herb was understandable. They voiced opposition to its use, deeming it a “demonic” pagan beverage given to the “tribal witches” by Tupá – none other than Lucifer himself. They forbade its consumption in their territories and decreed the worst of all punishments for those who disobeyed, excommunication. This had a disastrous effect, because the use of mate had become so widespread that the church found itself confronting the possibility of losing almost all the faithful. In spite of the harsh decree, people continued sipping their favorite beverage. To make matters worse, a Dominican priest branded the herb an aphrodisiac. Contrary to his intentions, this caused the use of mate to spread like Viagra, until it reached a level of nearly 345 kilos per person every day! This explosion in popularity marked, unfortunately, the beginning of a sad chapter in mate’s history. As consumption spread throughout South America, a mate gold-fever resulted in the virtual enslavement of thousands of Guaraní Indians, exploited by Spanish encomenderos (contractors) in the most brutal fashion. The Guaraní were forced to open paths through the rainforest with machete blows from the Paraguayan capital of Asunción to the heart of the mate groves in Guairá Marazón, Iraí, and Alto Uruguay. These paths were watered by the sweat and blood of thousands of aborigines, and paved with their bones. In the annals of New World exploitation no single industry brutalized its labor force more than those first encomenderos of yerba mate. For their part, the Jesuits by now had realized the failure of their attempts to discourage mate , and began to embrace it instead. They sanitized its pagan origin by substituting Santo Tomé (Saint Thomas) for Tupá in the myth of its inception, and became so closely associated with the drink that many still know the plant as yerba missionera, the missionary herb. Happily, their change of heart helped attenuate, somewhat, the plight of the Guaraní. If you’re interested in the mythical side of yerba maté, we found these wonderful cosmological legends involving adventurous women and magical moon beans about the origins of Yerba Maté over at the Guayaki Website. Yarí, the moon, curiously looked at the deep woods with which Tupá, the powerful god of the Guaranies, had covered the earth. And little by little her desire to come down to earth was getting stronger. So Yarí called Araí, the pinkish cloud of dusk, to ask her to go down to Earth with her. The following day as they were walking along the woods, they turned into two beautiful ladies...but they were getting tired when, in the distance, they saw a cottage and they went towards it to relax. Suddenly they heard a noise and it was a jaguar that was about to jump on them, when an arrow shot by an old Guarani hurt the beast on its side. The furious animal fell on its wound, at the same time that a new arrow went through its heart. Once the fight had finished, the Guarani offered the ladies hospitality so they went to his hut. He lived with his wife and daughter who treated them kindly and told them that Tupá does not like the ones who do not offer hospitality to their visitors. The following day Yarí announced that it was time to leave. The woman and the daughter saw the two adventurous ladies to the door and the Guarani went with them a little while. He told them why he lived in isolation: when his daughter grew up, uneasiness, anxiety and fright invaded his spirit, so he decided to get far away from the community where he lived so that his daughter, in isolation, could keep the virtues that Tupá had given her. When Yarí and Araí were alone, they lost their human shapes and went up to heaven, where they looked for an appropriate prize. One night they guided the three people in the hut into a deep dream. While they were asleep, Yarí sowed light blue seeds in front of the house, and from the dark sky she lit up the place. At the same time, Araí poured a sweet and soft rain that wetted the ground. Morning came and in front of the hut there were short unknown trees, and their white, thick flowers appeared shyly among the dark green leaves. When the Guarani woke up and went out to go to the forest, he got astonished to see the marvel that appeared in front of his house. He called his wife and daughter and when the three of them saw what had happened, they fell onto their knees on the wet ground. Yarí, in the shape of the woman that they had met, came down and told them: "I am Yarí, the goddess who lives in the moon and I am here to give you a prize for your goodness. 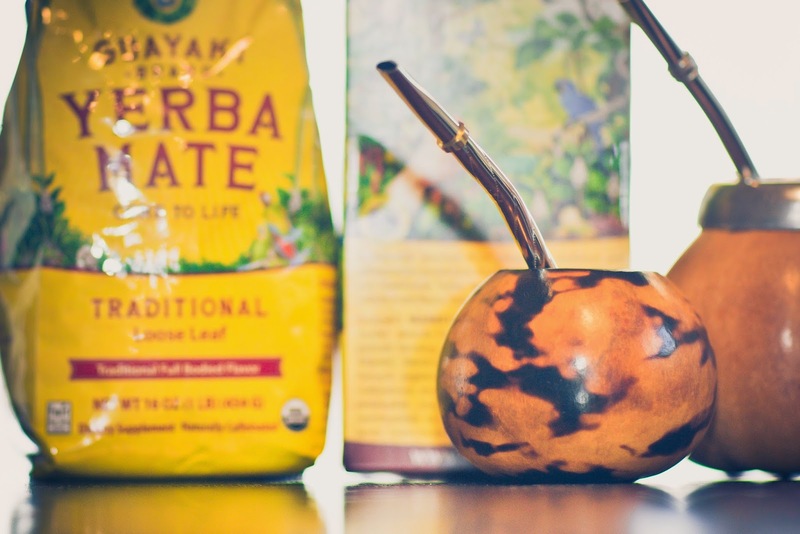 This new plant that you see is the yerba-mate, and from now on it will be, for you and for all the men of this region, the symbol of friendship. Your daughter will live forever and she will never loose the goodness and innocence of her heart. She will be the owner of the yerba." After saying this, the goddess made them stand up and taught them how to toast the yerba and to drink the mate. After several years, time of death came for the old couple. Then, once their daughter had fulfilled her ritual obligations, she disappeared from earth. From time to time, it is possible to see among the Paraguayian yerba fields a beautiful blonde girl whose eyes reflect the innocence and candidness of her soul. There is an old Guarani Native American legend that relates the origins of the Guarani in the Forests of Paraguay. According to the legend, the ancestors of the Guarani at one time in the distant past crossed a great and spacious ocean from a far land to settle in the Americas. They found the land both wonderful yet full of dangers; through diligence and effort they subdued the land and inaugurated a new civilization. The Guarani tribes worked the land and became excellent craftsmen. They looked forward to the coming of a tall, fair-skinned, blue eyed, bearded God (Pa' i Shume) who, according to legend, descended from the skies and expressed his pleasure with the Guarani. He brought religious knowledge and imparted to them certain agricultural practices to be of benefit during times of drought and pestilence as well as on a day-to-day basis. Significantly, He unlocked the secrets of health and medicine and revealed the healing qualities of native plants. One of the most important of these secrets was how to harvest and prepare the leaves of the Yerba Mate tree. The Mate beverage was meant to ensure health, vitality and longevity. It was like this: the tribe would clear part of the forest, plant manioc and corn, but after four or five years the soil would be worn out and the tribe had to move on. Tired of such moving, an old Indian refused to go on and preferred to stay where he was. The youngest of his daughters, beautiful Jary, had her heart split: to go on with the tribe's youths, or remain isolated, helping the old man until death would take him to Ivy-Marae's peace. Despite her friends' pleas, she ended up staying with her father. This love gesture deserved a prize. One day, a unknown shaman arrived at the ranch and asked Jary what she wanted in order to feel happy. The girl did not ask anything. But the old man asked: "I want new forces to go on and take Jary to the tribe that went away". The shaman gave him a very green plant, perfumed with kindness, and told him to plant it, pick the leaves, dry them on fire, grind them, put the pieces in a gourd, add cold or hot water and sip the infusion. "In this new beverage, you will find an healthy company, even in the sad hours of the cruelest solitude." After which he went away. Sipping the green sap, the old man recovered, gained new strengths and was able to resume their long journey toward meeting their kinsmen. They were received with the greatest joy. And the whole tribe adopted the habit of drinking the green herb, bitter and sweet, which gave strength and courage and would comfort friendships at the sad hours of utmost solitude. 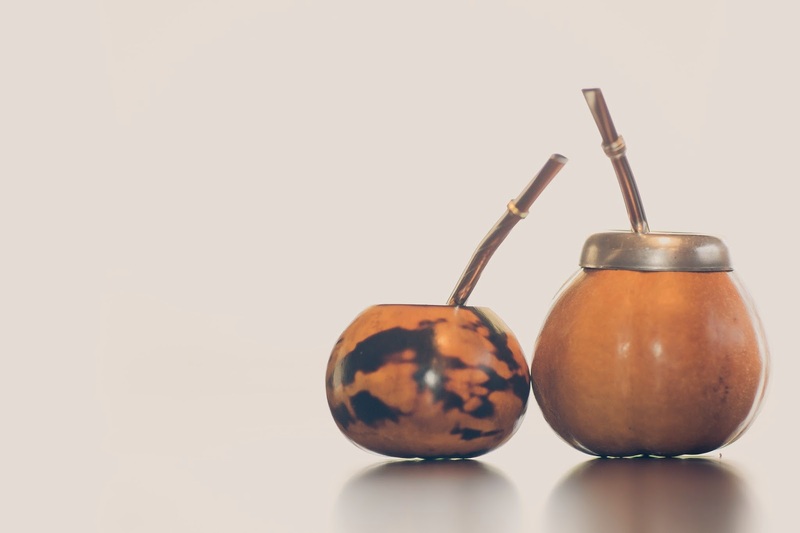 Mate became the most common ingredient in household cures of the Guarani, and remains so to this day. In current practice in modern Paraguay and Southern Brazil, Mate tea is made from the leaves steeped in hot water. Actually, a large quantity of ground leaf is first soaked in cold water, then the hot water is added, over and over again, until all the good stuff has been extracted. 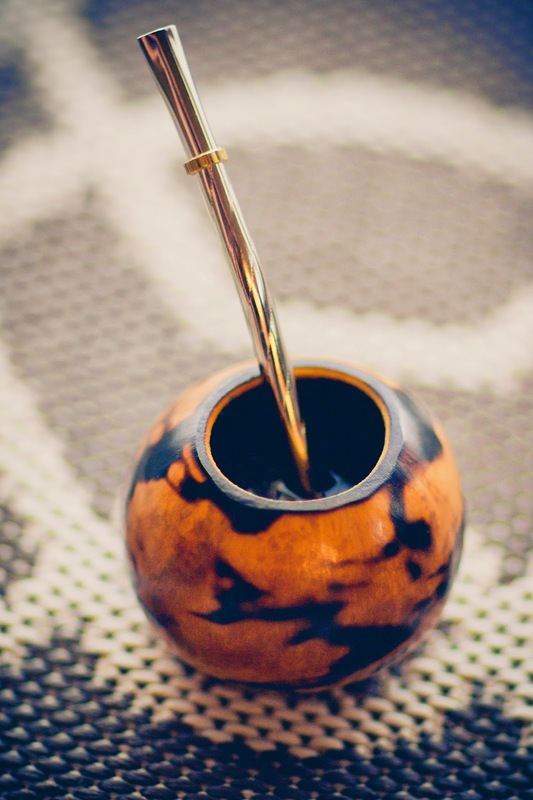 In between each addition of hot water the tea is ingested through a special wood or metal straw, called a bombilla, which filters out the leafy material. 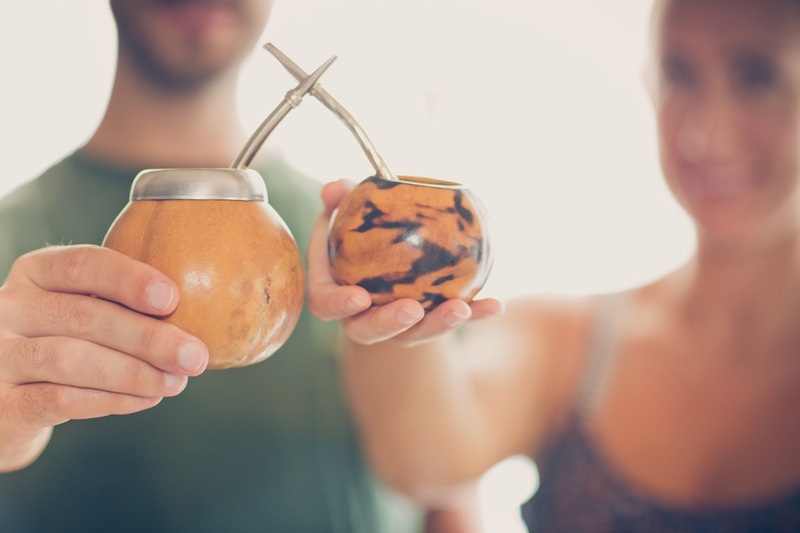 It is also used as a cold beverage, often referred to as Terere most common to Paraguay. There is an old Guarani Indian legend that relates the origins of the Guarani in the Forests of Paraguay. According to the legend, the ancestors of the Guarani at one time in the distant past crossed a great and spacious ocean from a far land to settle in the Americas. They found the land both wonderful yet full of dangers; through diligence and effort they subdued the land and inaugurated a new civilization. There were two brothers that vied for leadership of the people: Tupi and Guarani. Eventually they feuded and divided the people into two separate nations. Each nation, or tribe, adopted the name of the brother who was its leader. The Tupi tribes adopted a more fierce, nomadic lifestyle, rejecting the agricultural traditions of their fathers. They engaged in the practice of drinking large quantities of a caffeine-containing drink prepared from the guarana tree. The Guarani tribes became a stable, God-fearing people who worked the land and became excellent craftsmen. They looked forward to the coming of a tall, fair-skinned, blue eyed, bearded God (Pa'i Shume) who, according to legend, eventually did appear and was pleased with the Guarani. He imparted religious instruction and taught them concerning certain agricultural practices which would benefit them in times of drought and pestilence as well as on a day-to-day basis. Significantly, He unlocked the secrets of health and medicine and revealed the healing qualities of native plants. One of the most important of these secrets was how to harvest and prepare the leaves of the yerba mate tree. The mati beverage was meant to ensure health, vitality and longevity. The choice of favorite drink by the Tupi and Guarani came to symbolize opposition between the respective groups. The yerba mati of Guarani, reflecting the agricultural and domestic nature of these Indians, provided many more beneficial properties than the Tupi's guarana, which symbolized their preoccupation with running wild and free and their reliance on brute strength and the need to physically excel. Mati became the most common ingredient in household cures of the Guarani, and remains so to this day. 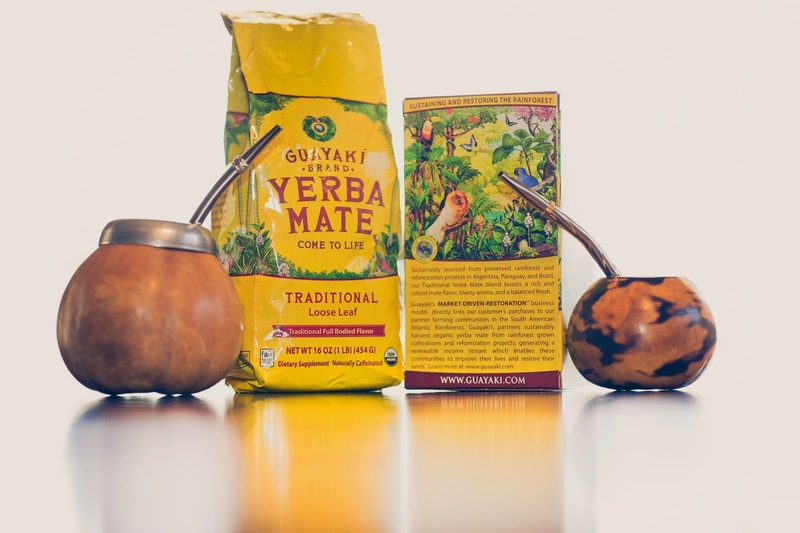 Learn more about Guayaki's Organic, Fair Trade Yerba Maté on their website. which we've recently joined and posted on in our December 2014 post..
We recently made a bulk herb & tea order from them and their pricing is extremely reasonable for the high quality they deliver. I especially recommend their Herbs de Provence- an excellent addition to Lake Meadows thick cut organic bacon, and some bacon cooked pastured eggs for your high fat ketogenic breakfast (or lunch, dinner, etc).